To access help select the Help menu. From there a number of help choices exist. A few of the most important ones are described here. The FAQ has a wealth of information regarding license, purchase, TwistedBrush Editions, troubleshooting etc. The main TwistedBrush Pro Studio User Guide. 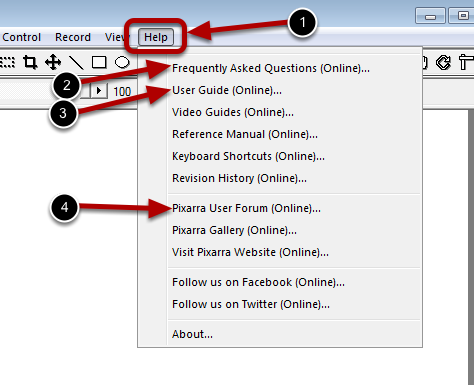 The Pixarra Forum is where you can discuss with other TwistedBrush users as well as report issues.